Can Chuck Schumer Kill the Iran Deal? A prominent Democratic hawk bucks Obama. Can he lead the party? 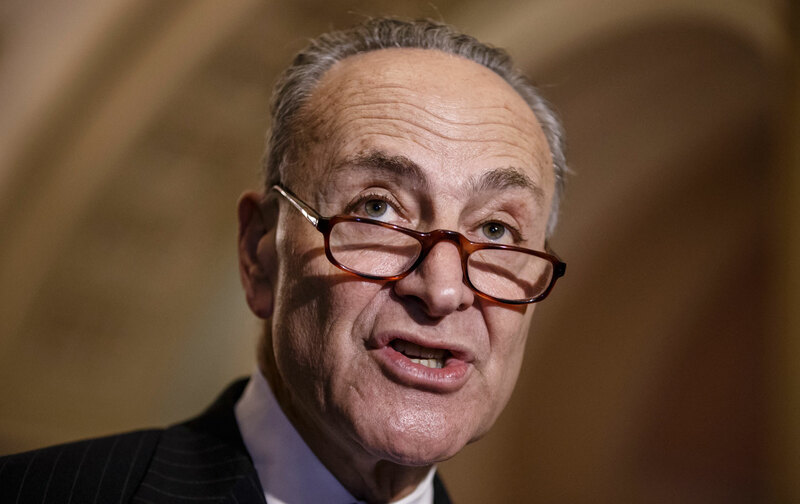 Since Iran and world powers struck a historic nuclear deal in July, all eyes have fallen on Senator Chuck Schumer, the Democrat from New York. Last Thursday, the notoriously camera-hungry Schumer announced his opposition in a lengthy online statement. That he would become the first and only Senator, so far, to break with his party and his president didn’t come as a surprise: Schumer has long approached the Middle East with what can properly be called an unreconstructed pro-Israel hawkishness. The timing of Schumer’s announcement reportedly riled the White House: Coming as it did just before Congress’s August recess, Schumer’s rejection of the deal shifts the attention away from himself and onto other undecided members, despite several prominent Democrats recently coming out in favor of the accord. That’s why, though Schumer’s objection to the deal was not unexpected, it nonetheless constituted a major development; in part for the prospects of the nuclear deal itself and in part for what his dead-end Middle East hawkishness means for the future of the Democratic Party—which Schumer hopes to lead in the upper chamber when Senate Minority Leader Harry Reid (NV) retires this winter. "When Ted Cruz thinks you did the right thing, it might be a moment to reconsider the company you keep." Many observers assumed Schumer’s absence from the Sunday shows last weekend indicated he won’t be working to gain support for his position against a deal. But a Democratic Senate staffer, who asked to be unnamed to preserve their boss’s relationship with Schumer, told me unequivocally that the New York Senator has been making calls. “Schumer is whipping,” the staffer said, confirming Schumer’s remarks to the press today. While Schumer is engaged in elite activism, however, a bevy of grassroots progressive groups are pushing back hard. More than 76,000 people signed a petition on the website Daily Kos denouncing Schumer’s decision and CREDO, another progressive group, amassed more than 160,000 signatures on a petition criticizing Schumer’s decision. MoveOn Action, the anti-war group, released its own statement in response to Schumer and launched a campaign to withhold donations from Democrats who side with the would-be Democratic Senate leader. MoveOn Action executive director Ilya Sheyman said that, as of Sunday evening, the group had amassed pledges to withhold more than $8 million in political giving, and expected to hit its goal of $10 million withheld this week.